Offsite exposure - Мотомир Вячеслава Шеянова | This work is licensed under a Creative Commons Attribution-NonCommercial-NoDerivatives 4.0 International License. 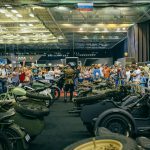 “Motorworld by V.Sheyanov” organizes offsite exposures in museums, shopping and entertainment complexes, moto and auto salons. 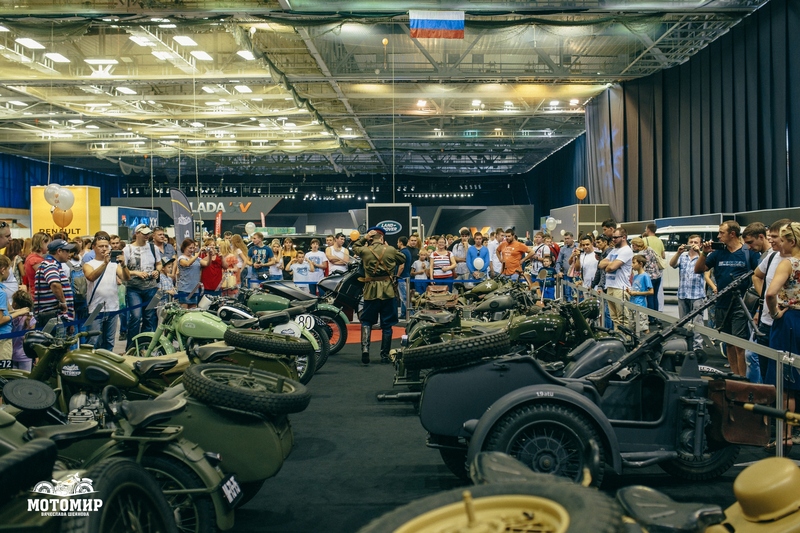 The team of Motorworld has accumulated considerable experience in participation in military historical reconstructions and city festivities. 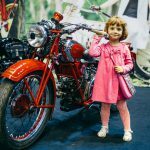 “Motorworld” gives a lot of excellent PR-reasons for information support of your event and invariably becomes one of the main centers of attraction for visitors. We recommend you to limit yourself with twenty motorcycles. This is the maximum number of exhibits that an average visitor can learn and remember at a time. Riding on retro-motorcycles with a Motorworld’s driver. Each motorcycle requires about 7 m 2 . 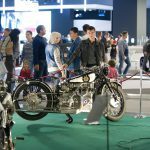 A single motorcycle is 1.5 * 3 m, a motorcycle with a sidecar 2.5 * 3 m. The optimal distance between motorcycles is 0.5 * 3 m. For an exhibition of 20 motorcycles it is necessary to plan an area of 150-200 m 2 . Delivery is carried out by Motorworld. Our trailer is designed for the transport of 20 motorcycles, so this batch of bikes is also optimal in terms of shipping costs. Accommodation accompanying the collection of employees of «Motorworld». access to the place of loading and unloading of «Motorworld» truck. guarded parking for the «Motorworld» truck for the duration of the exhibition. protection of exhibits (1 employee for 6 exhibits). fencing of exhibits (not less than 1 meter from the extreme size). 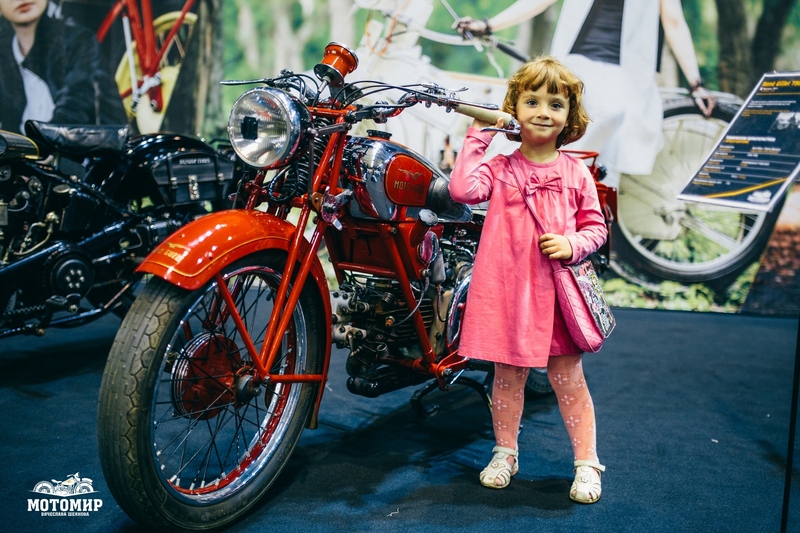 To prepare a commercial offer, please send an application to info@motos-of-war.ru. The application must contain information about the selected exhibits, expected dates, duration of exposure and layout of the place of exhibition. 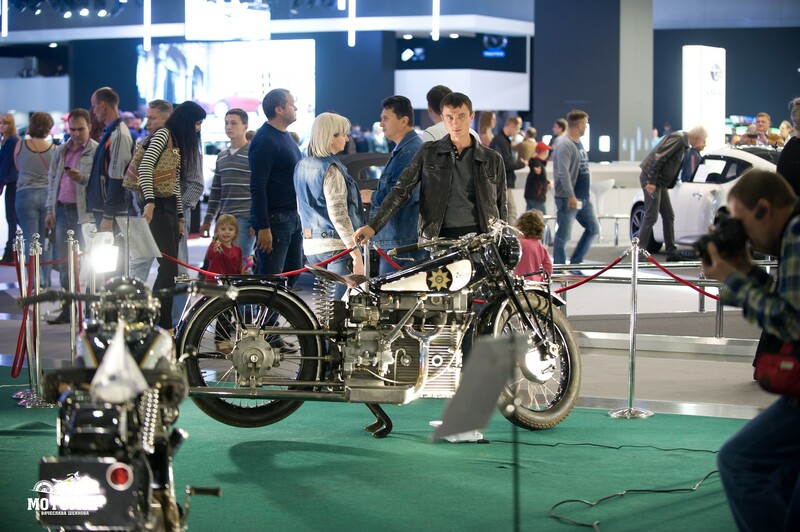 The approximate cost of the exposition is $ 200 per motorcycle per day (excluding transportation costs). The exact cost is calculated in each specific case.  To simplify your choice, we suggest that you familiarize yourself with the thematic lines of Motorworld by V.Sheyanov.